What makes Genoa-Tunis route so special? Certainly all the comforts and reliability offered by SNAV and Grandi Navi Veloci! 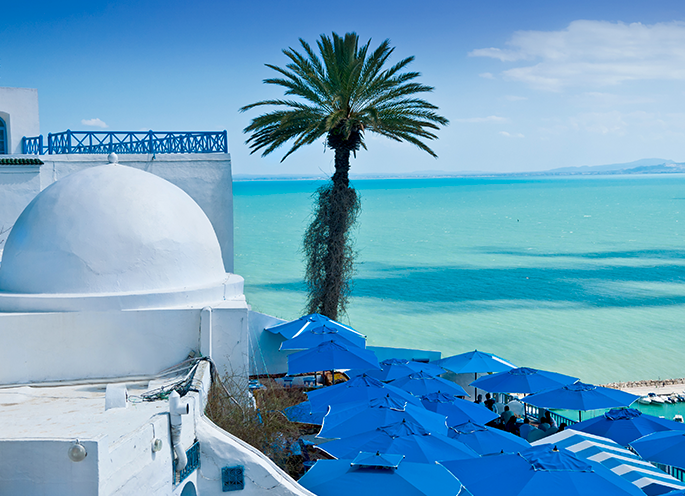 With our ferries, you can reach the beautiful and charming capital of Tunisia with a pleasant and relaxing journey. You will find many amenities that will make you feel as on-board a real cruise ship: à la carte restaurant that proposes a fine cuisine, entertainment halls for adults and children, shopping areas and much more. In addition, thanks to our online booking system, you can customise all your trip details, choosing among different types of accommodations: armchairs, comfortable cabins and, for the most demanding, family or double bed suites. Do you wish to bring your pet? You will find suitable accommodation on-board even for your pet! Book now your ticket on our Genoa-Tunis ferry and depart on a unique trip that will remain impressed in your heart.